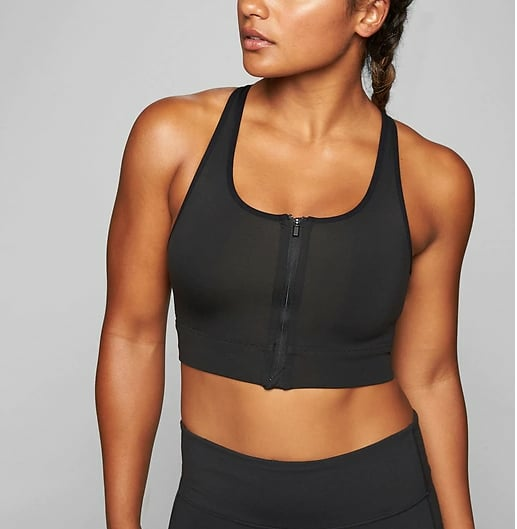 Whether you’re looking for a supportive sports bra with extra lift or need an easy-to-wear option you don’t have to yank over your head, front-close sports bras are the underrated workout piece you never knew you were missing. Convenient, no-fuss, and available in just as many fun colors and prints as your typical sports bras, front-close styles mean you don’t have to deal with struggling to get it off after an especially sweaty Spin class (because we all know that’s the worst . . . and can lead to extra wear-and-tear on your bras!). Check out the following options, and prepare to never look back.